The Business Directory is the easiest way to find and support Ventures businesses. The Ventures Business Directory is an incubator for our microbusinesses. It is a training and coaching tool that we use to help our entrepreneurs create professional online profiles to attract customers using digital marketing strategies. The businesses in this directory are at different stages in development. Businesses are added every month as new entrepreneurs create profiles. Coaching and consulting for entrepreneurs, nonprofits, and small business owners that encourages intuitive development to provide clarity and transformation in your personal and professional life. Eco-friendly lip balm souvenir, custom made to location (Kisses From Seattle, Kisses From Chicago...) 10% net profits donated to local charities. Alara plans, designs, and coordinates successful social events. We delight in thoughtful greeting cards, guaranteed to make you smile. Our cards showcase a diverse range of popular artists and feel-good sentiments. Grain Artisan Bakery is a farm-to-bakery offering artisan cakes and pastries handcrafted entirely with sustainable, local, organic ingredients. Water, sewer, storm system construction and horizontal boring. Smart solutions done right. Shalom Luxury Leather is a brand of footwear and leather goods that enhances the style and beauty of today's woman. We make 3 styles of pickled peppers, using all local Organic produce, our mom's recipes and name. You can taste the LOVE in every bite. 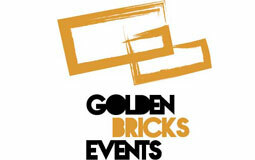 Golden Bricks Events is an event producer creating special events and festivals highlighting outdoor recreation, nature, and diversity. We sell and install illuminated address numbers for your home or business in Western Washington. Art Thou is a dedicated art concierge service, curating coveted collections from Seattle’s working artists. bedhead fiber naturally dyes yarn and textiles with plants, flowers, mushrooms, and lichen that yield nontoxic and lush colors.